I am a 45 year old male started running back in June, now in January I am up to runs ranging from 4 miles to 6.5 miles. Over the course of that 8 month period I lost 75 pounds. My question I guess is what should I do to train for my first 5k that I want to run this upcoming June. I am pretty much self trained at this point and do not know where to go from here. On average I run a 9 to 9.5 pace now sometimes faster on my shorter runs. I always run outside I hate the treadmill but will use it if I absolutely have to. I love running now. Any help would be appreciated. Thank you. Thank you for your running training question. Sounds like you have been on quite a journey in the past 6-7 months. That's a lot of weight loss, well done. With your 4-6.5 mile runs you are building an excellent base for races in the 5-10k range. As you can cover the distance easily I am assuming you want some pointers for a fast 5k. You get the best results out of training if you run a variety of speeds and distances. Each running speed comes with its own advantages. With 6 months to go till your goal race, you can keep on doing your 4-6.5 mile runs that you are doing at the moment. You could build up the distance a bit more on your runs, see if you can slowly build one of your runs up to about 8 miles or so, that would be great. Most runners do that longer run at a slower speed. This type of running, easy, long and slow is the most important part, also see this base running drills-page. Closer to the race, i.e. from about March or so, in addition to easy and long runs I would recommend that you start doing a weekly tempo run and a weekly session of intervals. With the faster work, remember to start off easily. With faster running comes the higher risk of injuries. So, train hard, but don't go crazy with them. And make sure to not do two fast sessions in consecutive days. One of the most important part of fast running is being able to properly rest your body! 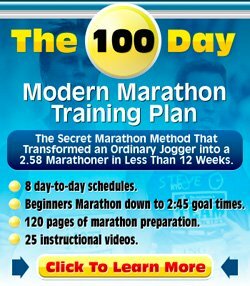 Do this type of running program and do it consistently and you'll be in very good shape on race day, ready for a fast 5k. Great to read about your success so far, keep it up.